At We Care More Family Clinic, a team of a skilled Physician and Nurse Practitioners offer family planning advice and services to patients from Compton and Lynwood, California. 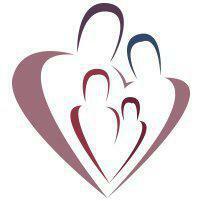 Family planning services help women and couples to protect and manage their reproductive and sexual health. Family planning helps women to choose when to become pregnant and how many children to have. These services help women to protect themselves from unwanted pregnancies and sexually transmitted diseases while maintaining reproductive health and wellbeing. Family planning services include contraceptive options and infertility treatment to help patients create and grow their families when they’re ready. The best kind of contraception or birth control is the kind that works best for you. The providers at We Care More Family Clinic can provide varieties of contraception and will discuss the options to help you choose the best one to meet your needs. LARC (long-acting reversible contraceptive) options such as IUDs and implants are becoming increasingly popular because they’re effective and convenient as there is no need to remember to take a pill or other interruptions. However, LARC doesn't protect against sexually transmitted diseases. Factors that could affect your decision about the best birth control for you include your sensitivity to hormones, allergies to latex, your intentions for getting pregnant in the near or distant future, your ability to remember to take a pill at the same time every day, and if protection from sexually transmitted diseases is also a concern. When should I be concerned about fertility? If a woman under the age of 35 has been trying to conceive naturally for a year with no success, or for 6 months if aged 35 or older, she should seek fertility assessment and potentially treatment. It’s important to remember that infertility doesn’t just affect women and that both the male and female partners trying to have a child should be tested for fertility issues. Men can suffer from quality and quantity issues with their sperm. Women’s fertility issues can affect the egg, the fallopian tubes or uterus, or the ability for a fertilized egg to attach to the uterine wall.